short to shore, face to face, swimmers to gulls and sailors. harvested by conquerors for this or that revelation's sake. weight searing his arms against the stall's wood? drawn round the bronze. Anastas. Lifted. From Rowan Williams, The Other Mountain, 2014. In Washington, in April, the similarity between the men and the portraits struck me. Both men are wearing old leather belts, so old and worn you can smell the sweat that soaked into them over the years and the wars. The fancy dress does not portray the essence of the men: the belts do. Two documents for Cyriaco of Ancona, one new, one ignored, that contribute to his portrait. Cyriaco is conventionally thought to have died in 1452 or 1555: I find authors fairly evenly divided on that. I'm quite sure 1452 is wrong, as I have found the document above which certainly has him alive on 8 March 1454 when he was granted Venetian citizenship at the age of 62. This is not a very exciting or important piece of information, but it was a surprise and raises the question of why Venetian citizenship at this point? He was 63 and had been going to Venice since he was 10. This document is available on-line at ASV Senato Privilegi 1425-October 1560. In 1431 Francesco Filelfo, a fellow citizen of Ancona, wrote Cyriaco a letter. Cyriaco had been studying Greek for five years or so -- we don't know what that means -- but apparently Cyriaco had written a letter in Greek to Filelfo who was teaching Greek in Florence. To my mind, Filelfo was a bit of a charlatan, and this letter demonstrates it. His quotation of Homer bears no resemblance to anything Homer ever wrote, thought it seems to refer to Aphrodite and Diomedes in Iliad 5. And his compliments of Cyriaco's Greek make me wonder what the Florentines were paying to learn from him: Cyriaco's Latin was not so good, his Greek was unlikely to have been any better. Pierre MacKay translated the letter for me. Be in good health, therefore, so that you may be able to enchant us and all those others who are similarly disposed toward you with your God-given talent from the Muses. I wish for you also that you may reach the age of Nestor, since you yield in wisdom in no way whatsoever not only to our contemporaries, but even to the outstanding figures of those in the past. Stay well, shrine of the Muses, and love your Filelfo as always, who would for your sake and for the sake of all who support you, jump into the fire, metaphorically, with great eagerness. From Florence, on the nones of March, in the year 1431 from the birth of Christ. This letter can be found on-line as #8 in Cent-Dix Lettres Grecques de Francois Filelfe. Ghanaian goldweight snake and tourist Athenian owl. Hummingbird nest and silkworm cocoons. Miniature of a Benin leopard. Glass carafe stoppers and a hedgehog. Firecrest nest, jay and flicker feathers, abalone shell. A book on which I have been working far too long – The Greek Correspondence of Bartolomeo Minio. Vol. 2: Dispacci from Candia, 1500-1502 – has just been published. To have the new book in hand is a pleasure, but this entry is late because I have not known how to bring about the end to this working companionship. I have nothing more I can write about Bartolomeo Minio. I have not been far from tears as I have autographed books to send out, and as I have tried to write here. I discovered Bartolomeo Minio while looking for material on Nauplion at Dumbarton Oaks, long before I thought of graduate school. The 100 pages of his letters from Nauplion became bedtime reading off and on for years. <They were intensely familiar, of course because of Nauplion, where my house had been attached to the wall he had built, but also because I had grown up in a colonial environment. Minio's constant fatigue and frustration at lack of adequate equipment and money, his isolation, his increasing identification with the local population, all reflected what I had absorbed in my younger years from the adults around me. I found something else, too: the sense of a desperately lonely child, so you can imagine my reaction when I found in Venice a document indicating that his father had remarried when he was two and a half years old. He was the youngest child in his family, born in about 1428 and named for his mother's father, and was the only one of his brothers to marry. His wife was Elena Trevisan. This was normal Venetian practice, and his third son, Francesco, was the only one of his sons to marry. 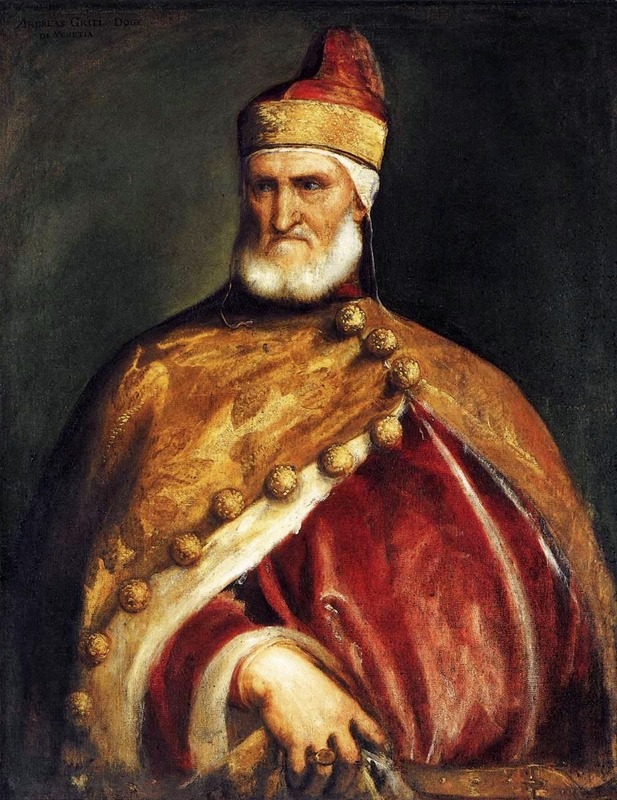 His oldest son, Marco (born about 1460) , became a prominent Venetian ambassador to the Vatican and Constantinople, and was elected Doge of Crete. Little is recorded about the second, Alvise (born a year later). There may have been children who did not live. The youngest, Francesco, was born in 1483/4, nine months after Minio returned from his assignment in Nauplion. Francesco made a fortune in shipping and the transport of pilgrims to the Holy Land, and his wills record a number of houses, including the pretty Ca' da Madoneta on the Rio da Frescada near S. Toma. The family were all buried at the Franciscan church of S. Francesco dalle Vigne: in several searches I failed to find any tombstones in the hundreds there. My PhD dissertation was on his letters from Nauplion. Hans Theunissen from Utrecht published it in his on-line monograph series in EJOS. One of my dissertation readers, John Melville-Jones from Perth, suggested a published edition of the letters which are preserved in a Minio family copy (written in four different hands, including Bartolomeo's) in the Correr Library in Venice. We published the letters from Nauplion in 2008, and then set to working on another set of his letters, a Minio family copy (by his son Marco) in the Correr, from Candia. This is a total of more than 150 letters written by one man, a very rare inheritance. Minio was clearly lonely in Nauplion -- there were probably no patricians there, and I suspect he was acutely class-conscious where Venetians were concerned. 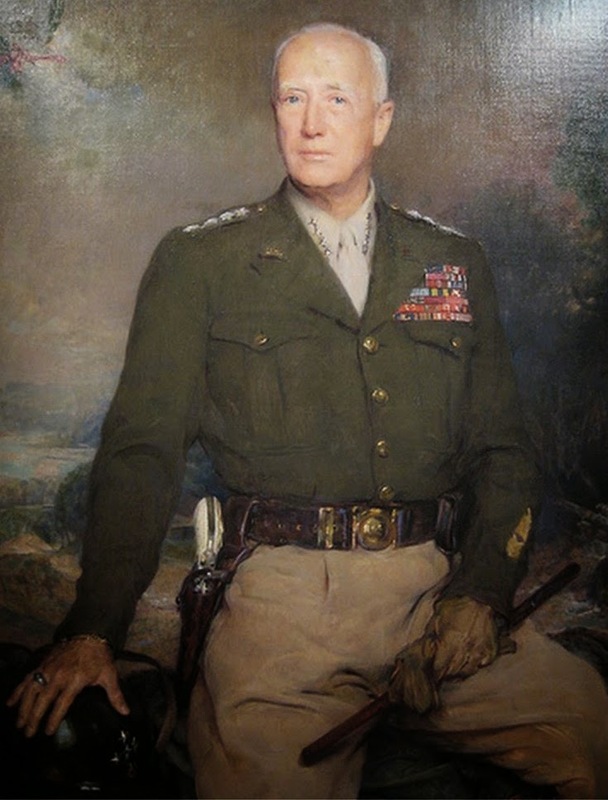 His letters and reports rarely received a response, and supplies were rarely and inadequately sent. He developed a few very close and protective relationships -- his secretary Eustacio; Antonio Marinato, an Italian commander of foot soldiers, who may have been a part-time pirate, and was kidnapped and sold into slavery; his wife's brother, Piero Trevisan, who commanded a galley occasionally sent to Nauplion; an Ottoman governor who shared all the same problems, and who let him in on a plot to overthrow Mehmed. At that time, the governor of the place, that is, the Venetian, with all the people of Nauplion, did all the building, and built the walls around, just as they appear today . . . and the governor of the place, the Venetian, gave benefits and many gifts. Minio died in 1515, in his late 80s. His failing health is mentioned in several entries in Sanudo's Diarii. He should have died several other times that we know of: from malaria in Nauplion, from camp fever in the Ferrara war, from pirates in the Bay of Biscay, from pirates off Cyprus, from pneumonia in Crete. In his mid-70s he wrote with pride of his good eyesight, and then rode the length and width of Crete to inspect its fortresses. He was a survivor and a fighter, though I suspect he absolutely hated fighting. Not because of any pacifist leanings, but because it was an indication of disorder, and he did value order above all. He has been a good companion. I hope he would have liked my work. The Greek Correspondence of Bartolomeo Minio. Vol. 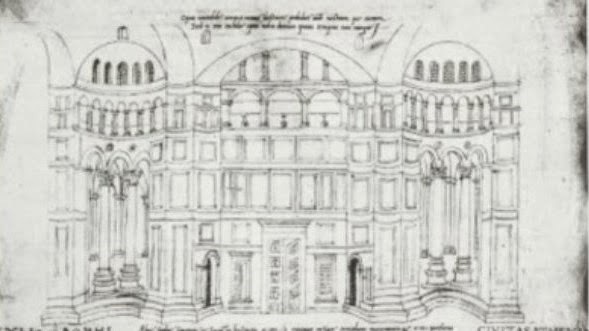 2: Dispacci from Candia, 1500-1502. Diana Gilliland Wright & John Melville-Jones. Padua: Unipress, 2015. Orders here. 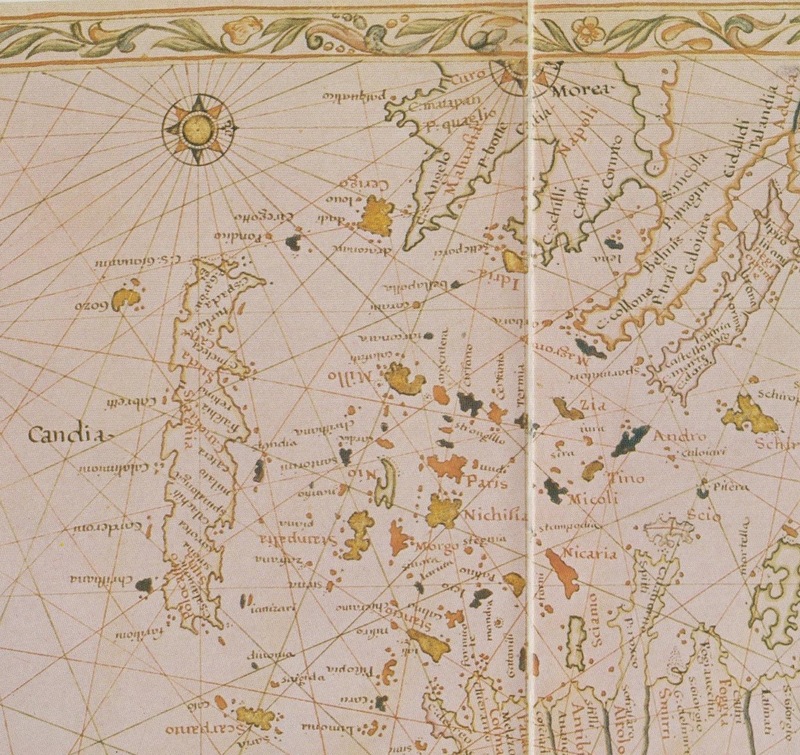 Map by Ioannis Xenodochos, Corfu, 1520.